In the March 2015 Budget, the UK Treasury pledged £11m in capital funding to create three digital technology hubs in the North in order to stimulate economic activity as part of the ‘Northern Powerhouse’. This funding was divided between Leeds, Manchester and Sheffield, with Sheffield’s initiative given the moniker ‘MakerHub’ in order to connect it to Sheffield’s making and manufacturing heritage and to provide a distinctive identity. Between Spring of 2015 and the Summer of 2016 a number of different options for the hub were proposed, but the right mix of location, programmes and business model proved elusive, and eventually Sheffield City Council, as the accountable body for the fund, put the Makerhub initiative out to public tender and formally sought proposals from the private sector. 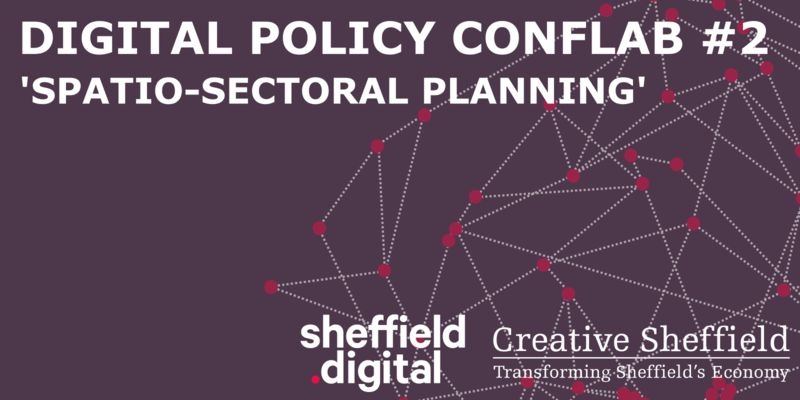 This tender called for a “Sheffield Digital Business Incubator”, and was structured as a 15 year contract with a number of delivery targets and stipulations around economic impact and job creation. The tender was awarded in November 2016, although the contracts have not been finalised at the time of writing and consequently a public announcement has not been made. However, it is an open secret amongst the digital business community in Sheffield, that the tender was awarded to ‘Kollider’ – a joint venture between Kollider Projects and U+I Plc to house the digital tech incubator in the former Co-operative department store at Castle House. Kollider are also in talks with other property owners as part of a wider project covering an area of roughly 9 acres of Caste Gate. The original vision for the Makerhub, was for a place “…that will provide a combination of software tech focused co-working, accelerator and incubator space plus some larger SMEs; maker and light manufacturing co-working, accelerator and incubator space; and creative led activity, events, incubation and popup delivery.” This is still the vision, although the specific makeup of the offer may differ slightly in practice, and as the incubator itself forms part of a wider redevelopment of the Cate Gate area there are opportunities for some additional spaces and services to be offered in other buildings. 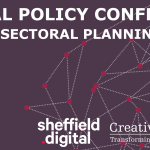 At the time the original funding pledge was made by the treasury, Sheffield’s digital technology sector was poorly served by incubation and acceleration spaces. This is still the case, however both of the city’s universities have continued to rapidly develop their research capabilities. Factory 2050 at the Sheffield Advanced Manufacturing Campus, which is the UK’s first reconfigurable digital factory for collaborative research. The Olympic Legacy Park on the site of the former Don Valley Stadium, which will soon be the new home of the flagship Advanced Wellbeing Research Centre and the heart of a new health technology cluster, along with the second Sheffield University Technical College which specialises in Computing and Life & Sports Sciences. The Field Robotics Facilities – a large indoor test and development facility complemented by a 12 acre rural site for larger-scale aerial and ground robotics testing. The relocated Sheffield Institute of Arts in the Old Head Post Office building on Fitzalan Square. All of these facilities have strong digital and computational technology components. The RoCo creative cooperative on Glossop Road, which is a hub for creative, craft and digital design & fabrication enterprises. Westfield Health Enterprise Hub, offering incubation and business support for startup health tech firms. Union Street co-working, and incubation for social enterprises – one of now 7 old light industrial and office buildings that have been converted into co-working, event spaces and studios by CADS. Desk.Space co-working and New Mesters incubation space set up by 30five Geeks in Kelham Island. In addition, notable new clusters of technology companies have emerged in Kelham Island/Neepsend, the Wicker and Park Hill. Sheffield Hallam University is evaluating the creation of a digital hub in the Cultural Industries Quarter. The Showroom/Workstation are currently awaiting a funding decision on a plan to house a Creative Digital Hub or Lab in the Workstation. The Site Gallery is embarking on a major expansion project, and is looking to house incubation and training facilities. S1 Artspace is developing a new Arts and Culture hub at Park Hill. MakerHub CIC, who tendered for the digital business incubator, are evaluating the potential to pivot into a delivery agency or accelerator for digital business support. The Grey to Green and related developments at West Bar and Riverside. The Sheaf Field urban park. The Knowledge Gateway urban regeneration project within the Cultural Industries Quarter. The City of Ideas project, which will create new and accessible public art commissions animating existing spaces in the city centre. The University of Sheffield Master Plan, which will transform the public realm around the Western Bank and North Campuses. The extensions to the Digital Campus along Sheaf Street. New developments around Sidney Street and Matilda Street in the CIQ. The New Retail Quarter (NRQ) development. All of these initiatives will play a part, in one way or another, in addressing some of the crucial issues that local creative and digital technology companies face: access to talent, suitable work-spaces, business support and fund-raising options. And perhaps most importantly: national and international attention. It should be clear from this summary of recent activity that Sheffield’s digital economy is really starting to heat up, however with so much going on, the risk now is that the resulting ecosystem presents a confused picture, with projects potentially competing with each other instead of working together, and/or seeking new sources of light, air and value to flourish in. This is just one of many opportunities to engage a wider industry and bring in partners from outside the city to invest. It is therefore crucial that people work together to understand the overall picture, share information and are able to work out where there are overlapping plans, where those plans compete, where they are complimentary, and where there are gaps. 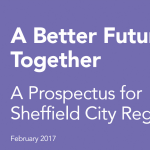 The overall size of the industry, and the rate of growth, mean that this should not be a zero-sum game for a city such as Sheffield – in fact to maximise the city’s future success and that of its citizens, it must not be. The first stage to enabling this is for people to meet and know each other, and then to approach their work in a spirit of collaboration towards a larger goal. This is what we at Sheffield Digital want to encourage, and is why we have partnered with Creative Sheffield to convene this ‘Conflab’.